Ramos-Llordén, G., S. Aja-Fernández, and G. Vegas-Sánchez-Ferrero, "Introduction to speckle filtering", Handbook of Speckle Filtering and Tracking in Cardiovascular Ultrasound Imaging and Video: IET, 2018. Aja-Fernández, S., G. Ramos-Llordén, and G. Vegas-Sánchez-Ferrero, "Nonlinear despeckle filtering", Handbook of Speckle Filtering and Tracking in Cardiovascular Ultrasound Imaging and Video: IET, 2018. Ramos-Llorden, G., G. Vegas-Sanchez-Ferrero, S. Aja-Fernández, M. Martin-Fernandez, and C. Alberola-Lopez, "Fast Anisotropic Speckle Filter for Ultrasound Medical Images", XIII Mediterranean Conference on Medical and Biological Engineering and Computing 2013: Springer International Publishing, pp. 253–256, 2013. 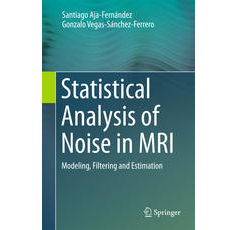 Cordero-Grande, L., G. Vegas-Sanchez-Ferrero, P. Casaseca-de-la-Higuera, S. Aja-Fernández, and C. Alberola-Lopez, "A magnetic resonance software simulator for the evaluation of myocardial deformation estimation", Medical engineering & physics, vol. 35, no. 9: Elsevier, pp. 1331–1340, 2013.